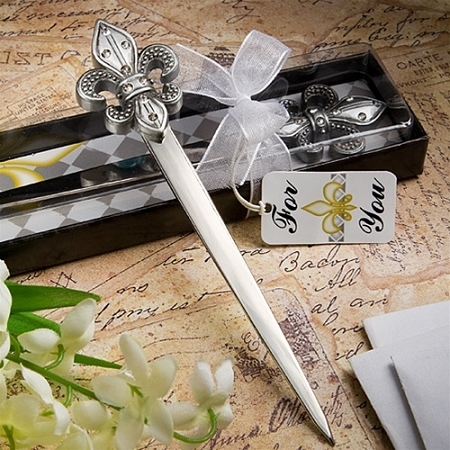 Make your guests feel like royalty with these exquisite Fleur de Lis letter openers as their favors. 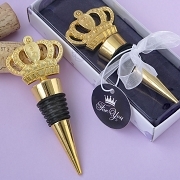 Here's a favor that's truly fit for a king - and queen. That's because these letter opener favors showcase the treasured Fleur de Lis - symbolizing greatness, royalty and tradition. 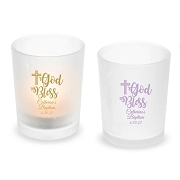 Each letter opener favor measures 5.5" x 1.25" and has a silver metal blade base with a silver poly resin Fleur de Lis charm on top, enhanced with multiple shimmering rhinestones that accentuate the beautiful carved detail. 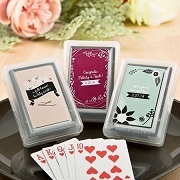 Great as French themed favors or for any occasion, each Fleur de Lis letter opener comes in a clear topped box with a black base and royal checkerboard design inside, tied with a white organza bow and attached matching "For You" tag.